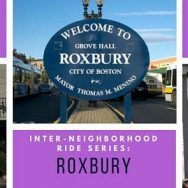 DETAILS: Join Roxbury Rides and Let’s Get Healthy Boston! (LGHB) for the fourth installment of the Inter-neighborhood Ride Series and relaunch of the IBikeBoston Campaign! Enjoy meeting fellow bicycle enthusiasts, newbies and advocates while touring new streets. Contact operationbfit@gmail.com for more info.